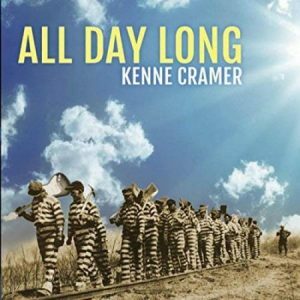 Best known recently for his lengthy stay backing of Shaun Murphy, Nashville-based singer, songwriter and guitarist Kenne Cramer makes a welcome return to center stage with the release of All Day Long, his first album as a band leader since his first, well-received album, Midnight Ride, in 2004. One of the top sessions musicians in the Music City, Cramer is a graduate of Los Angeles’ Guitar Institute Of Technology. After working locally with Pete Anderson, Jennifer Batten and Jesse Gresse, he started touring the world in support of other musicians in 1989, when he began a three-year stint with country/soul/gospel singer T. Graham Brown. 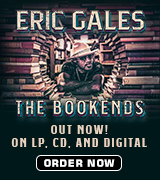 He joined Texas-based blues and country superstar Lee Roy Parnell in 1992, and also spent extensive time with Bobby Bare, Dr. Hook, Ronnie Milsap and Engelbert Humperdinck, with whom he recorded a pair of albums. Cramer delivers eight tasty originals and three covers on this one, mixing blues, soul, rock and jazz and which features guest appearances by Murphy and Brown as well as indie-folk singer/songwriter Ellen Starski. Rounding out the mix are a group of top-notch musicians, including keyboard players Mark T. Jordan (Bonnie Raitt and Dave Mason) and Larry Van Loon (The Andy T Band), bassists Randy Coleman, John Marcus and Tim Fortin, drummers Andy Peake, Rodney Ledbetter and Chip Abernathy, saxophonist Mitch Reilly, trumpet player Steve Hermann and choral contributions from Dennis Gulley, Laura Lamun and D. Allen. The opening chords of “The Itch,” a bluesy rocker penned by Nashville Songwriters Hall Of Famer Gary Nicholson, you know instantly that Kenne knows what he’s doing and that he means business. It swings from the jump, and he holds his own on vocals. “442,” the first of three consecutive originals, is a swinging boogie in which Cramer offers to trade anything he owns for a ride in the supercharged Oldsmobile of the title. The title tune, “All Day Long,” is an unhurried blues instrumental that puts Kenne’s stellar guitar chops on display while giving his band space to shine. It flows neatly into “Someday A Change Is Gonna Come,” a truly welcome tune in a nation full of turmoil. 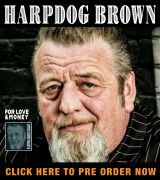 Brown handles the vocals as Cramer delivers a little optimism for folks living in a dog-eat-dog world. A pair of covers — Ray Davies and The Kinks’ “Who’ll Be The Next In Line” and Bob Dylan’s “All Along The Watchtower” – follow. While the former remains true to the original, the latter, which features a duet with Murphy, takes on new life, delivered in an ear-catching, blues-based jazz format. Kenne’s guitar lines soar as he takes the tune to levels it’s never traveled before. The balance of the disc are all originals. The Latin-flavored “Blue Tears” features a duet with Starski, who possesses a unique, smoky voice. “She’s Trouble” is a rocker that uses a familiar, repetitive guitar hook to drive a description of a real female problem child, while the loping blues, “Built For Lovin’,” paints a picture of a lady who’ll “put you six-feet deep” if you aren’t ready for her. Another instrumental, the soulful “Kenne C’s Triumph,” follows before “Livin’ Ain’t Cheap,” another timely tune about rising prices, swings the album to a close. The world’s full of talented musicians, and many of them – like Kenne Cramer — prefer the background to the limelight despite their skills. Seemingly coming out of nowhere, albums like this one often come as a complete surprise, but are a real treat. Available through most online retail outlets, and highly recommended.